–UPDATE– Instead of The Genius of Charles Darwin documentary, we will have Dr. Mark Reimers speaking on the evolution of the brain. 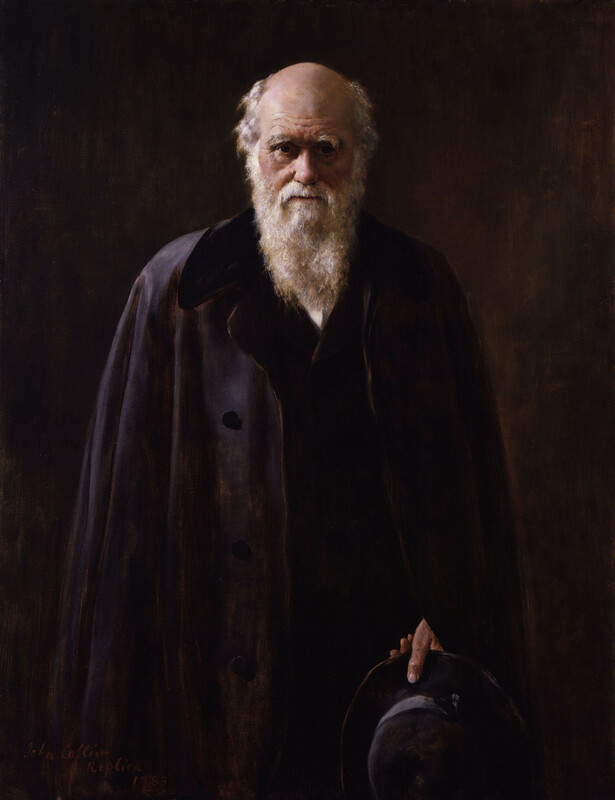 February 12th is International Darwin Day. This year it will also be Charles Darwin’s 206th birthday. On This month we will be joining with the International Darwin Day organization in celebrating Darwin and his history changing accomplishments. Charles Robert Darwin at age 72. Painted by John Collier. Join us on Saturday February 14th at 1:00 PM for our Darwin Day celebration. Details and RSVP information are at the bottom of this post. We celebrate Darwin Day because his discovery completely changed history and the way we look at our world. We also celebrate because there are many people who seek to discredit his work. Not because it is wrong, which it isn’t, but because they simply do not like it. And on this day we push back and laud the great man for his great accomplishments. Our human mind and consciousness has evolved from an ape mind over the past six million years. How have our brains and genes changed to bring this about? We are very similar to apes in some ways, in which scientists previously thought humans were unique, but quite different in other ways, such as our capacity for joint attention, which scientists had not realized were so important. This talk will present genetic, anatomical, and behavioral evidence bearing on the changes to the brain that supported the emergence of the human mind and its capacity for culture. Come and join us for lively discussion, drinks, dinner and debate! This is a good event for Skeptics of Michigan to come together and discuss local, national, worldwide items affecting skeptics. All are welcome to listen and participate. Please RSVP for more details and the location of the event. You can RSVP at our Meetup Page, our Facebook Page, or our Google+ Page.